Agriculture was a key agenda item during the Twenty-third Conference of the Parties of the United Nations Framework Convention on Climate Change (COP23) in November in Bonn, Germany. Several scientists from the World Agroforestry Centre took the opportunity to present their research findings at many of the side events, mostly highlighting the benefits that agroforestry brings to the fight against climate change. 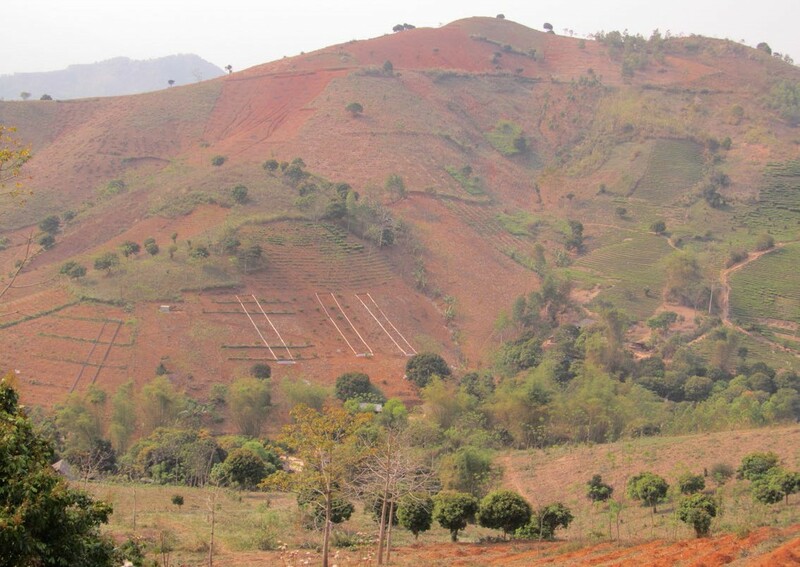 Our guest author, Tony Bartlett, ACIAR’s Forestry Research Program Manager, discusses the impacts that agroforestry has had in North West Viet Nam. 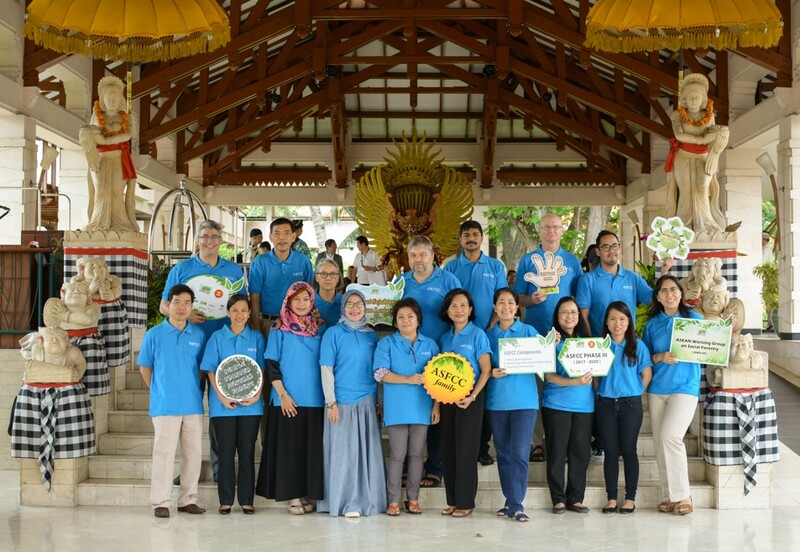 During the ASEAN Working Group on Social Forestry technical partners’ meeting, held in Indonesia, the World Agroforestry Centre was tasked to develop high-level guidelines for member states to design and implement agroforestry policies. Watch how the Accelerating the Adoption of Agroforestry Project, also known as the Triple A, works with key groups in Kenya to reach thousands of households. This project aims to identify best practices in agroforestry for farmer-to-farmer learning championed by elected lead-farmers. Also look out for the story on how ICRAF is working with farmers in Indonesia to cultivate sandalwood as part of the Indonesia Rural Economic Development project. ICRAF’s Viet Nam office celebrated its 10th Anniversary with a number of key events. The organization signed an MoU with the Viet Nam Farmers’ Association a group that plays a key and central role in farmers’ movements in the country. This event was aired on VTV1. In addition, ICRAF’s Director General, Tony Simons, and Country Coordinator, Delia Catacutan,h were interviewed by VTC10 Television. During the interview, the two highlighted the organization’s key activities in the region. The achievements of ICRAF-Viet Nam in transforming lives in South Asia with agroforestry in a short period of 10 years are truly commendable. Congratulations to the entire team for their determination and dedication. The first quarter of 2018 promises to be an eventful period. The World Agroforestry Centre will, during the first month, participate in the Second CGIAR General Assembly in Morocco. A month after that, the organization will be involved in a number of key events including the Second European Symposium on Pollarding, Africa Climate Smart Agriculture Summit and an international conference, Working Across Sectors to Halt Deforestation and Increase Forest Area. The Centre continued to enjoy extensive media coverage in the past few months. News stories covering our activities in Asia, America and Africa were carried in The Economist, Mongabay, Viet Nam News and other outlets. During this same period, the World Agroforestry Centre produced over 100 publications on its activities. 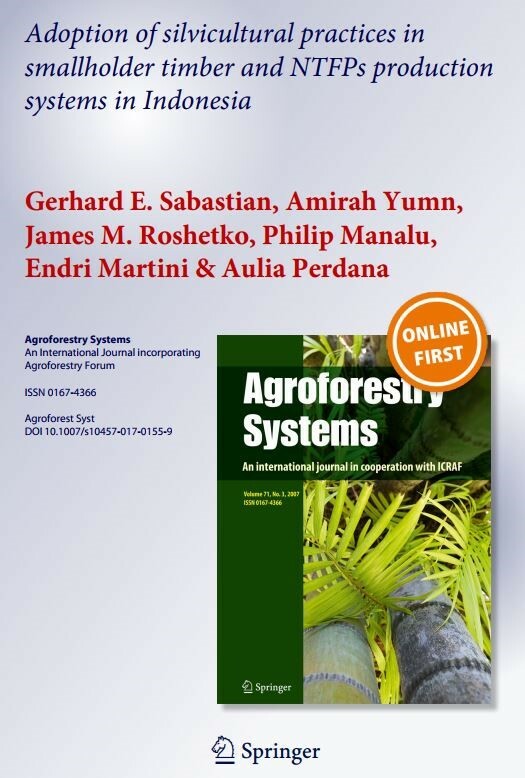 Read about the factors affecting adoption of smallholder agroforestry systems in Indonesia, and how the Land Degradation Surveillance Framework was used to assess the extent vegetation characteristics contribute soil functions that are key to farmers’ livelihoods. We’d like to wish our readers all the best for the festive season, and look forward to sharing more exciting stories in 2018! 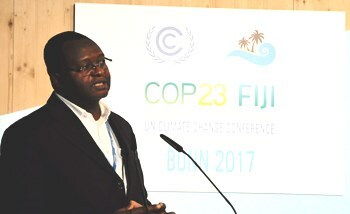 In a groundbreaking—though long overdue—decision, national delegates at the Twenty-third Conference of the Parties of the United Nations Framework Convention on Climate Change (COP 23), held 6–17 November 2017 in Bonn, Germany, agreed on a framework for addressing agriculture’s impact on climate. The framework includes assessing soil health, soil carbon and water management, nutrient use and manure management, and the impact of climate change on socio-economics and food security. 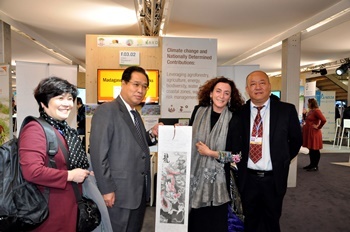 Agriculture was also a key agenda item at the COP’s side events as international organizations, research institutions, governments, civil society and the private sector discussed initiatives needed to achieve countries’ climate targets for agriculture. Scientists from the World Agroforestry Centre (ICRAF) presented research findings at several side events, highlighting the benefits that trees in agriculture, aka agroforestry, bring to the fight against climate change. More than 30 countries have included climate-smart agriculture in their nationally determined contributions (NDCs) to reduce greenhouse-gas emissions, underscoring the potential of the approach to drive agricultural investments and programmes. Tony Simons, ICRAF’s Director General, moderated an event for the Food and Agriculture Organization of the United Nations (FAO), titled, ‘Scaling up climate-smart agriculture to the NDCs in the agriculture sector’. 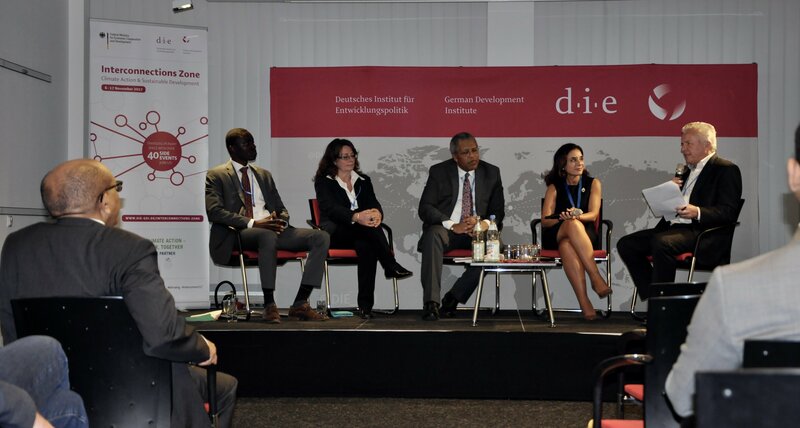 Panellists discussed approaches to implement, scale-up and monitor the outcomes of climate-smart agriculture. Simons reminded the audience that, ‘Trees made this planet habitable and their destruction will render it uninhabitable’. Growing trees in agricultural land, which is often a key feature of climate-smart agriculture, brings many benefits not only to farmers but also to the environment they inhabit. Rima Al-Aza of FAO talked about the Climate-smart Agriculture Sourcebook, highlighting five new areas introduced in the second edition: 1) climate change adaptation and mitigation; 2) integrated production systems; 3) supporting rural producers with knowledge; 4) role of gender in climate-smart agriculture; and 5) theory of change for climate-smart agriculture. Bruce Campbell of the CGIAR Research Programme on Climate Change, Agriculture and Food Security discussed the importance of indicators to monitor and measure the outcomes of context-specific, climate-smart agricultural approaches. At another session hosted by FAO, ‘Reducing the vulnerability of fragile ecosystems to climate change: the case of mountains and drylands’, panellists discussed their experience with implementation, lessons they learned and progress achieved in building climate-resilient systems. Somaya O. Abdoun of Sudan presented the Forests National Corporation’s agroforestry-related projects for improvement of the productivity of gum arabic. Smallholders were reaping agroforestry benefits related to timber, energy and nitrogen fixation. At the same session, Tony Simons explained the benefits that trees bring to ecosystems, including improving microclimates, fixing nitrogen, bringing up water from deep in the soil, sequestering carbon from the atmosphere, supporting biodiversity and adding oxygen to the biosphere. Trees also provide more diversified income and are a source of energy: 75% of on-farm biomass comes from trees. For example, in the 1990s, in Tigray, Ethiopia, a community successfully restored degraded land, so much so that rivers in the catchment continue to flow even during severe droughts that once saw all streams dry up. Agriculture Advantage: the case for climate action in agriculture was a collaborative event between research, development and private organizations aimed at transforming agriculture in the face of climate change. The event sought to create a collective case for investment in agriculture and open avenues for extended partnerships to scale-up climate actions across wider areas of the planet. Various sessions focused on maximizing the productive use of water; species that were more tolerant to drought, heat and pests; incentives to increase women’s participation in agriculture; finance for climate action; the interface between science and policy for programmes that deliver action on the ground; crop breeding for climate-resilient varieties; and the private sector as an agent for transformative change in the sector. At the session, ‘Scaling-up private sector climate actions in agriculture’, Tony Simons called for the need to link public goods with private interest to increase investments in the agricultural sector. Engaging with the private sector would increase access to information for both farmers and the private sector, increase expertise and networks, create appropriate products and services suited to the agricultural sector, enable leveraging of joint investments, develop novel approaches to address complex challenges, enhance competencies in the sector, and accelerate the impact of agricultural initiatives. He highlighted Indonesia’s Tropical Landscape Finance Facility that is using public funding to unlock private finance in renewable energy and sustainable landscape management. The long-term goal is to reduce deforestation and restore degraded land. Simons also called for people to combine the science of discovery with the science of delivery to ensure the future of the agricultural sector. Different expertise needs to come together to find solutions that will enable smallholders to increase their productivity while also protecting the environment. Recognizing the impact that climate change will have on its economy, the Government of Indonesia has taken steps to reduce greenhouse gas emissions from different sectors while at the same time sustaining economic growth and maintaining ecosystem services. At a side event hosted by ICRAF and the Indonesian Government, experts discussed actions that can fast-track low-carbon development. 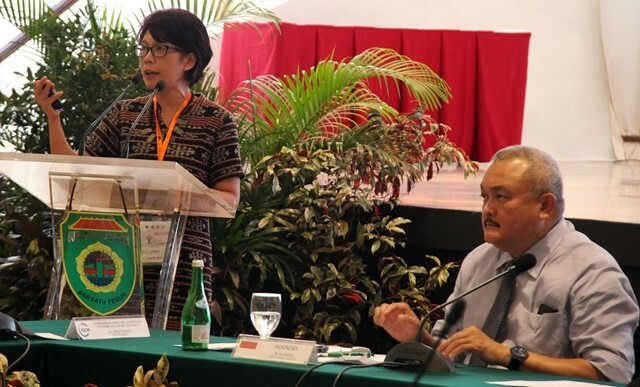 Sonya Dewi, ICRAF Indonesia’s Country Coordinator, presented a methodology called Land-use Planning for Multiple Environmental Services (LUMENS), which has been mandated by the Ministry for National Development Planning for use in all 34 provinces. LUMENS has been applied as a predictive tool that can analyse trade-offs for ‘green’ growth and other development scenarios. 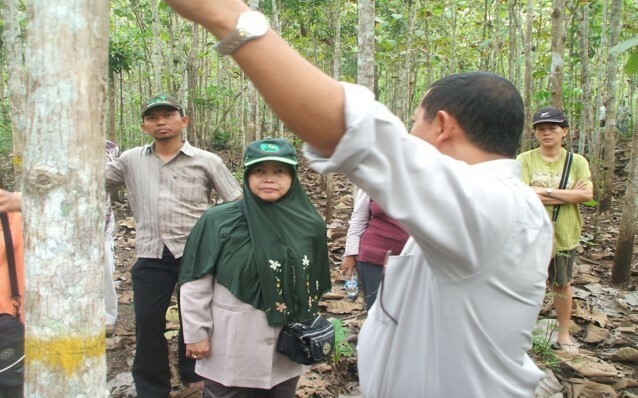 Using LUMENS, ICRAF has provided technical support for the development of South Sumatra Province’s green-growth strategy. This is Indonesia’s first master plan for renewables-driven green growth. At a session hosted by WWF and TMG Think Tank, panellists discussed the impact of restoration of degraded land on food systems and climate. Soil restoration was seen as a multi-win strategy that can contribute to mitigation of climate change, strengthened food security and reduced pressure on natural habitats. Alexander Müller, of TMG Think Tank and ICRAF Board member, called for better attention to soils given their finite nature, the inclusion of natural resources as capital in farming, and reduction in food waste as a trade-off. Tony Simons outlined how the adoption of agroforestry can restore degraded land. He said that growing the right tree in the right place delivers economic benefits through tree products, including fruit, biomass, timber and medicines. Trees also deliver ecosystem services, such as carbon sequestration, improving soil fertility, preventing soil erosion, protecting watersheds, providing shade for both crops and animals, and supporting biodiversity. Rights-based approaches and economic incentives were seen as the keys to success. Science has a major role to play in the global land restoration agenda and the agricultural targets in the climate agreement. 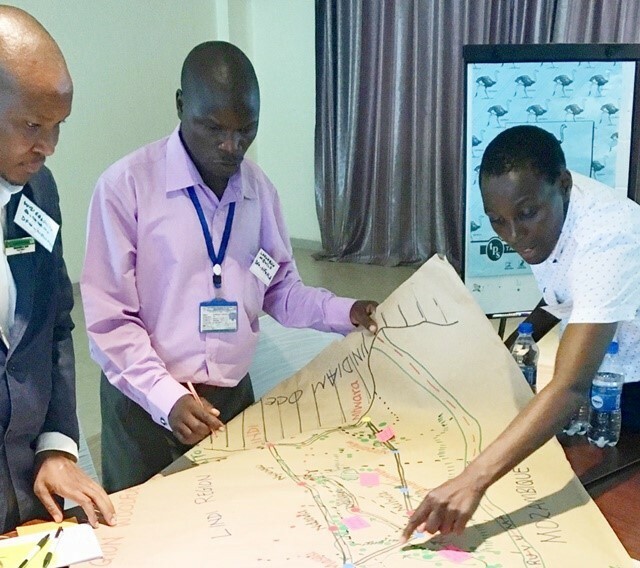 ICRAF’s tools such as the Tree Finder and the Agroforestry Database can support this ambition. The Multisectoral Working Group, comprising Peru’s 13 ministries and the Centre of Strategic Planning, is working towards meeting the nation’s NDCs and sustainable development objectives. The group is exploring the potential of agriculture to contribute to the NDCs. Valentina Robiglio, landscapes and climate-change scientist at ICRAF, discussed how agroforestry is being applied in Peru’s coffee and cocoa sectors. The most direct contribution of agroforestry to the NDCs is increase in soil carbon stock. Indirect contributions include improved cocoa and coffee production and silviculture on degraded land. She stressed that increased investments in improving tree germplasm and capacity building for farmers and extension workers were crucial for increasing the uptake of agroforestry. Dr Peter Minang at the side event titled Multisectoral process to the NDC implementation: the Peruvian model, giving highlights the policy brief titled How Agroforestry Propels Achievement of Nationally Determined Contributions. Peter Minang, who leads ICRAF’s Greening Tree Crop Landscapes research theme and the ASB Partnership for the Tropical Forest Margins, presented a newly-released policy brief, How agroforestry propels achievement of nationally determined contributions. The brief explores the degree to which agroforestry is represented in NDCs, how its application is envisaged and how its contribution could be enhanced. He said that agroforestry requires a multi-sectoral approach because it involves both agriculture and forestry. He called for the use of public finance to catalyse investments and de-risk agroforestry to cushion private-sector investments. Building on initiatives highlighted during the side events, the research and development sectors have the opportunity to work with governments towards meeting targets set out in the agriculture framework of the Paris Agreement. This demands better coordination and collaboration and financing to realize the goals. 2017 has been a special year for ICRAF in Viet Nam. The country office celebrated its 10th Anniversary on 1st December in the presence of the Board of Trustees, Senior Leadership Team and other colleagues from its headquarters in Nairobi. The occasion was graced by Dr. Le Quoc Doanh, Vice Minister of Viet Nam’s Ministry of Agriculture and Rural Development, and witnessed by key national partners from government agencies, NGOs, multilateral organizations and the donor community in Hanoi. The celebration highlighted ICRAF’s key achievements since 2007, particularly its contribution to the recently adopted revised Forestry Law. Vice Minister Le Quoc Doanh expressed his best wishes to ICRAF, and underscored the Centre’s outstanding collaboration with the Ministry. 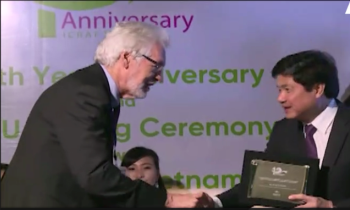 He acknowledged the organization’s longstanding partnership and contributions to building the capacity of Vietnamese researchers on agroforestry, dating back to the 1990s, and noted that he hoped the fruitful partnership would continue into the future. 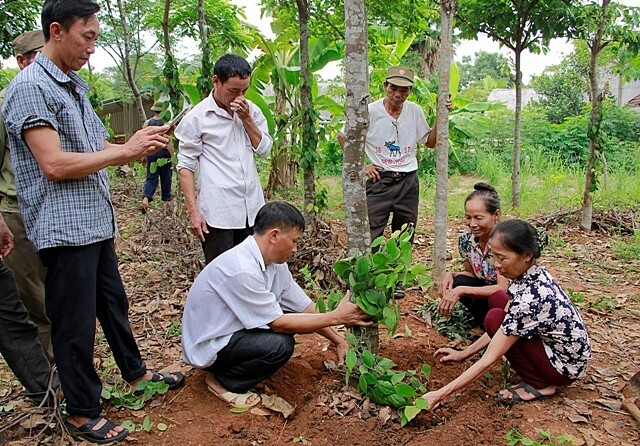 The event also marked the beginning of ICRAF’s collaboration with the Viet Nam Farmers’ Association (VFA)— an 80-year-old organization and the largest mass movement in the country. 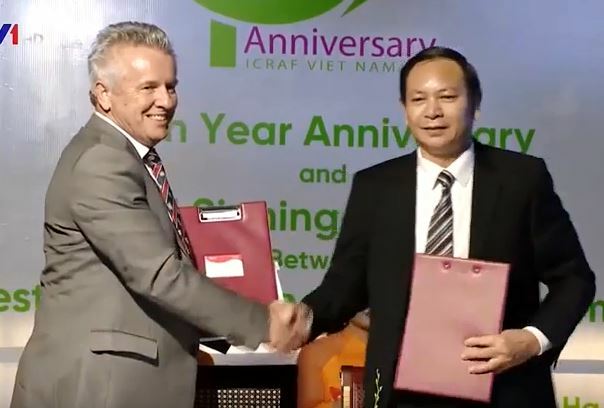 On this occasion, a Memorandum of Understanding was signed between the Vice Chairman of VFA, Mr. Leu Vu Dieu, and Dr. Tony Simons, ICRAF’s Director General. The areas of collaboration include training, research and outreach activities. Dr. Simons appreciated the partnership with VFA, noting that it provided an opportunity to up-scale the organization’s agroforestry innovations. In the northwest of Viet Nam the predominant farming system practised on large areas of very steep land involves monocropping of hybrid maize, which is mostly used for animal feed. This approach results in widespread soil erosion, a progressive decline in crop productivity and ongoing degradation of remnant forests. 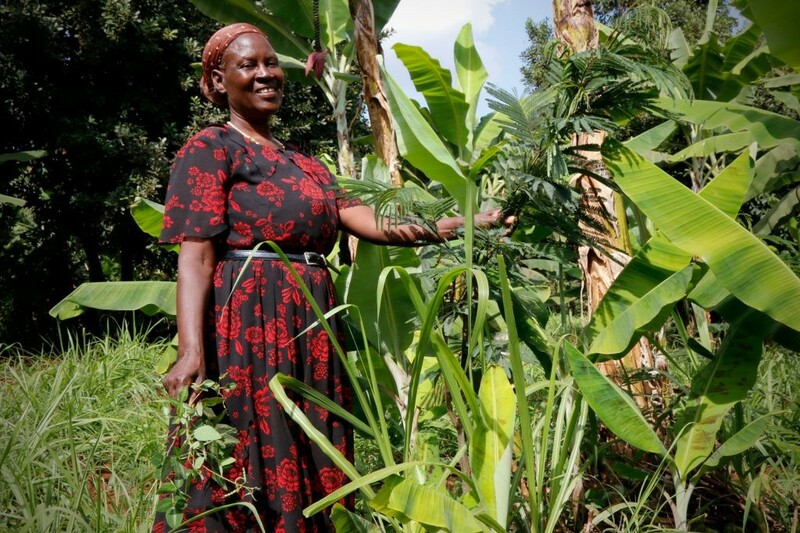 The implementation of appropriate market-based agroforestry systems offers significant opportunities to enhance returns from more sustainable and resilient farming systems in this region. ACIAR’s Agroforestry for Livelihoods (AFLi) project, managed through the World Agroforestry Centre, has developed eight agroforestry systems in order to provide farmers with choices that are appropriate to different sites, available markets and farmers’ attitudes to risk. One of the obvious challenges for farmers is the time required for trees to produce commercial products. ACIAR research in many countries has shown that the essence of a good agroforestry system is one where there are multiple components so that farmers can earn income while their trees are growing. At Sonh Thinh in Văn Chấn District, Mr Tien has adopted an agroforestry system involving late-fruiting longan, fodder grass and maize on his farm. By his third year with this system he was already earning more and his increased fodder meant he could support two additional cattle. The AFLi researchers have also shown that soil loss on Mr Tien’s far has been reduced from 36 tonnes to 20 tonnes per hectare under agroforestry, returning a saving of US$250 per year to Mr Tien from the reduced loss of nitrogen, phosphorus and potassium. According to the Soils and Fertilizers Institute of Viet Nam, over US$1 billion is wasted annually on fertilization, with large portions of that waste attributable to erosion. At Co Noi in Mai Sơn District, Mr Bang is trialling a complex agroforestry system involving plum trees, coffee, soybeans, fodder grass and teak. After two years his income had more than doubled to VND 57 million per hectare, even though he was not yet earning any income from the fruit or timber trees. In a changing climate, farming systems will need to be more resilient to extreme weather events. Agroforestry can help to achieve this. In March 2016, high areas of the northwest suffered unusually severe snow storms. In the village of Toa Tinh in the Tuần Giáo District, ten cattle perished, which was a significant loss to the local farming community. Project leader Dr Nguyen La has worked with farmers in this area to introduce a fodder grass and Son Tra (the H’mong apple) agroforestry system. The grafted Son Tra began fruiting at 2.5 years and those farmers who had adopted this agroforestry system did not lose any cattle during the snow storm because they now had sufficient fodder to feed their cattle. While these early results are encouraging, the challenge is to replicate and scale up. Dr Nguyen La is working with the Department of Agriculture and Rural Development (DARD) and local communities to scale up adoption of agroforestry through ‘exemplary landscapes’. At Na Ban village, 31 households have established a 50-hectare exemplary landscape. Dr Nguyen says, “The process involves establishing dual rows of fodder grass planted along the contour, together with a variety of fruit trees, including late-fruiting longan, plum, mango, lemon and pomelo.” Already, 50km of fodder grass lines and 20,000 trees have been planted by the community. Overall, the future looks very bright for expansion of agroforestry in northwestern Viet Nam and ACIAR is now funding a second phase of this important project. 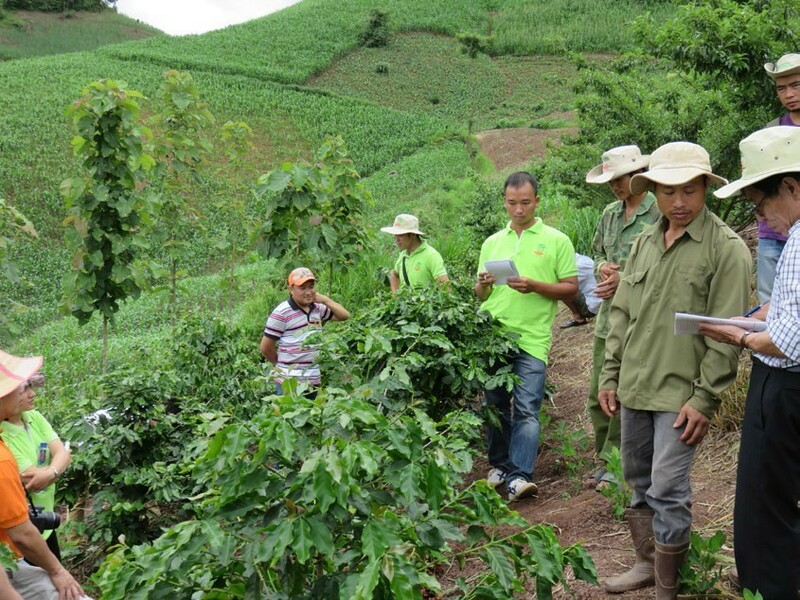 The Vietnamese partners in the project include Institute of Forestry Research and Development (IFRAD; formerly known as Northern Mountainous Agriculture and Forestry Science Institute); Vietnamese Academy of Forest Sciences; Soils and Fertilizers Research Institute; Tay Bac University and the Department of Agriculture and Rural Development from Son La, Yen Bai and Dien Bien Provinces. Scientists from Australia’s Southern Cross University are also contributing. During the ASEAN (Association of Southeast Asian Nations) Working Group on Social Forestry technical partners’ meeting, held in Bali, Indonesia on 11-14 November 2017, representatives of ICRAF Southeast Asia, Center for International Forestry Research, RECOFTC The Center for People and Forests, Non-Timber Forest Products Exchange Program and the Southeast Asian Regional Center for Graduate Study and Research in Agriculture met with the Working Group Secretariat and representatives of the Swiss Agency for Development and Cooperation to mark achievements to date in the third phase of the ASEAN-Swiss Partnership on Social Forestry and Climate Change project and plan for its final two years. The Working Group is made up of senior officials of forestry ministries of the member states, who are supported by these technical and financial partners. A highlight has been the Working Group’s prioritization of the development by the World Agroforestry Centre of high-level guidelines for member states to design and implement agroforestry policies. The Working Group’s members also requested that agroforestry training and field manuals accompany the guidelines, which will be presented to the ASEAN Ministers of Agriculture and Forestry meeting in October 2018. With the ministers’ endorsement, the documents will represent an impact in policy development and subsequent potential implementation across the diverse landscapes of Asia. The endorsed documents will also be a potent symbol of ASEAN’s commitment to agroforestry for improving incomes, maintaining ecosystem services and adapting to, and mitigating climate change that will likely attract the attention of investors. The ASEAN Working Group on Social Forestry is a government-driven social forestry network in Southeast Asia, whose main aim is to strengthen ASEAN Cooperation in Social Forestry through the sharing of information and knowledge. The General Assembly of Centres is a forum where Centres meet to discuss issues related to the CGIAR System and CGIAR System Organization. The Centres meet as often as necessary, but at least once in each calendar year as a General Assembly of Centres. In 2018, the event will be organized by co-chairs, Nicole Birrell and Matthew Morell. This international conference, organized by the Collaborative Partnership on Forests, will bring together a wide range of stakeholders to discuss the challenges of halting and reversing deforestation and to jointly explore ways to accelerate progress towards achieving in particular the SDG Target 15.2 and Target 1.1 of the UNSPF. The main objective of the event is to provide substantive input, to the High Level Political Forum, the United Nations central platform for follow-up and review of the 2030 Agenda for Sustainable Development and the SDGs. Dr. Ravi Prabhu, ICRAF’s Deputy Director General, will coordinate a session dubbed Approaches to managing landscapes in an integrated way under a changing climate: Agroforestry and Silvopastoral Systems. Conference participation is by invitation only. The second European Symposium on Pollarding aims to establish a better understanding of the potential benefits of pollarding and to identify ways of extending its practice through exchange and dialogue. Over 300 participants are expected to attend across the three days. Manufacturers will also be invited to exhibit harvesting/processing machinery and follow the debates in order to gain a better understanding of current needs and interests of their potential customers. The ICRAF team will be led by Dr. Sammy Carsan. This summit will bring together key UN agencies, NGOs, investors, government officials, agricultural associations and the private sector to explore policy updates, best practice and innovations for CSA in sub-Saharan East Africa. Topics will include innovations and challenges in CSA practices, increasing cross-industry collaboration and securing financial investments in CSA. The International Women’s Day 2018 campaign theme will be #PressforProgress. It is clear that women’s equality is still a long way off. But the good news is that across the world, women are making positive gains, day by day. However, we cannot afford to be complacent. Now, more than ever, there’s a strong call-to-action to press forward and progress gender parity. World Water Day is about focusing attention on the importance of water. The theme for World Water Day 2018 is ‘Nature for Water’ – exploring nature-based solutions to the water challenges we face in the 21st century. The World Water Day campaign is coordinated by the Convention on Biological Diversity, UNESCO and UN Environment. Many factors influence adoption of smallholder agroforestry systems. 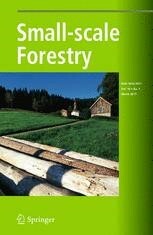 This paper reports farm and household factors affecting the adoption of timber and non-timber forest product management practices by farmers in three districts in Indonesia; and how understanding those factors can facilitate the adoption of silvicultural practices for enhancing timber and production of NTFPs. The models confirmed that farmers who have access to extension services, farmers’ groups and knowledge of government policy are more likely to adopt timber and NTFPs production technologies, and that policy makers, researchers and extension providers should take into consideration both farm and household factors when designing extension programmes. Smallholder timber plantations may offer opportunities for farmers to increase their income. Nonetheless, such opportunities are often lost largely due to unfavourable regulations imposed on harvesting and marketing of timber, poor literacy skills and limited information channels. Improving smallholders’ knowledge by providing information concerning markets and regulations in a timely and clear manner could help them exercise coping strategies and priorities when selling their timber, which would in turn reduce the negative impacts of regulations. Village authorities could be used to relay information to the smallholders, while the government could be involved in providing training and incentives. Functional ecology provides a framework that could link vegetation characteristics of various land uses with ecosystem function. However, this application has been mostly limited to small spatial scales. The Land Degradation Surveillance Framework was used to assess to what extent vegetation characteristics contribute to soil functions that are key to farmers’ livelihoods. It was discovered that vegetation cover and above-ground biomass had strong positive effects on soil health by increasing SOC and reducing soil erosion. The study illustrates how functional ecology can provide much-needed evidence for designing strategies to restore degraded agricultural land and the ecosystem services on which farmers depend. To optimize sampling efforts, knowledge of soil spatial variability is essential, but usually requires large and spatially detailed data sets. In this study, soils under secondary forests of four ages were compared within an agricultural landscape in the eastern Amazon. At three nested scales within each stand, topsoil samples were taken at two depths, scanned by VNIR, and analysed. Boosted regression trees were then used to calibrate VNIR spectra to soil properties for a representative sub-sample. These models were moderately successful on cross-validated data (R2 ≥0.75) for total C, total N (R2 ≥0.74) and pH (R2 ≥ 0.62), as were linear mixed models regressing measured vs. predicted values on secondary forest age and soil depth. Differences in measured values were greatest between soil depths and 1-yr vs. older stands. While there was little measured variability among samples within subplots, variability was highest at the plot scale for the 0–10 cm depth. Results indicate that soil reflectance measures can be a useful tool for developing efficient soil sampling designs.